Ottawa Tourism suspended its marketing campaign to China in December because there were concerns about how promotional messages about Ottawa would be perceived in the current political climate. "When there is political instability or social instability, in some way shape or form, that could have a significant effect on whether marketing will be perceived in a positive way," said Catherine Callary, the agency's vice-president of destination development. Beijing and Ottawa have been at odds since early December, when Canadian police arrested Meng Wanzhou, chief financial officer of Chinese tech giant Huawei. Days later, China detained two Canadians on suspicion of endangering state security: former diplomat Michael Kovrig and business consultant Michael Spavor. Monday's death sentence imposed by a Chinese court on Canadian Robert Lloyd Schellenberg for allegedly smuggling 222 kilograms of methamphetamines has become the latest strain on ties. Chinese tourism is a lucrative and growing business for the Ottawa region, with 41,000 visitors coming from China in 2017 — up six per cent from the year before. Last August, Ottawa Tourism representatives packed their bags for a three-city promotional blitz of China in a bid to entice more travellers to spend time in Canada's capital. 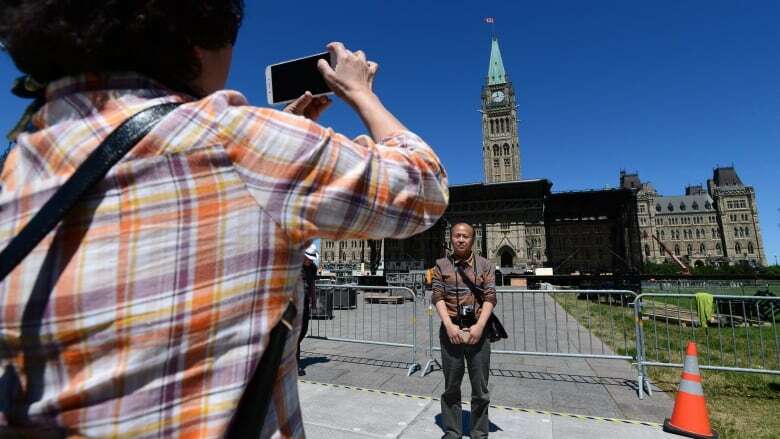 Callary said a recent industry survey showed diplomatic tensions don't make much of an impact on the average Chinese tourist's desire to visit Canada. Ottawa Tourism is planning on restarting its marketing campaign by the end of the month. "There were no indications of any significant decreases in travel from China to Canada or to Ottawa," said Callary, adding the campaign will be gradually phased in. "So it makes sense to resume travel marketing in those in those areas."